Work on the Argyle Street site that was destined for a six-star Jumeirah hotel may progress again after it was purchased by Vanguard Real Estate to accommodate a 280,000sqft office block. The 0.79-acre city centre site between Robertson Street and York Street infamously stalled after one occupant, the pawnbrokers, refused to sell. Glasgow architects Cooper Cromar will design a headquarters development with all existing (low-rise) structures demolished. 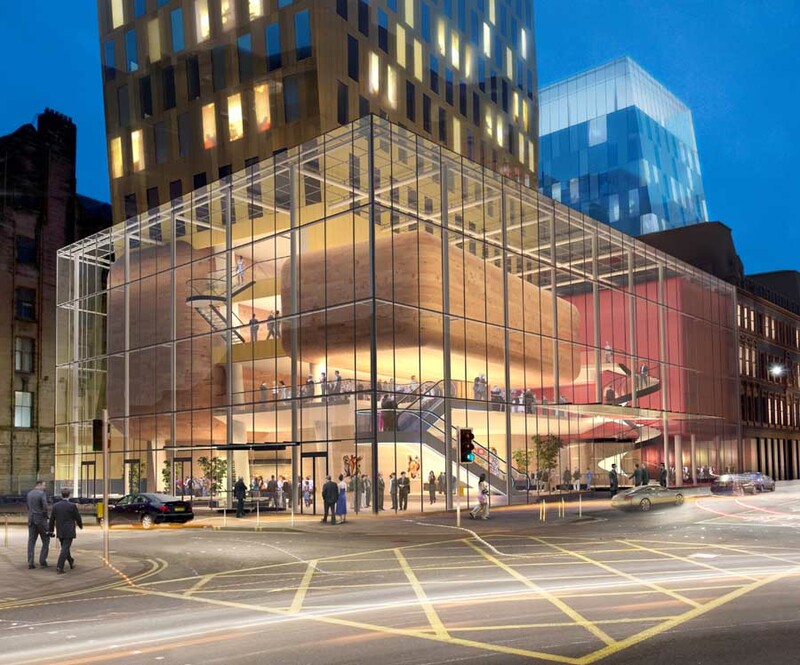 This major ‘six-star’ hotel development by Manchester practice Ian Simpson Architects may not go ahead after the developer was placed in administration. The 158-room, 26-storey hotel and an adjoining block of 68 serviced apartments had previously stalled due to an owner (pawnbroker)on the site refusing to sell. A Scottish government-backed compulsory purchase order was being challenged by owners of premises on the site. 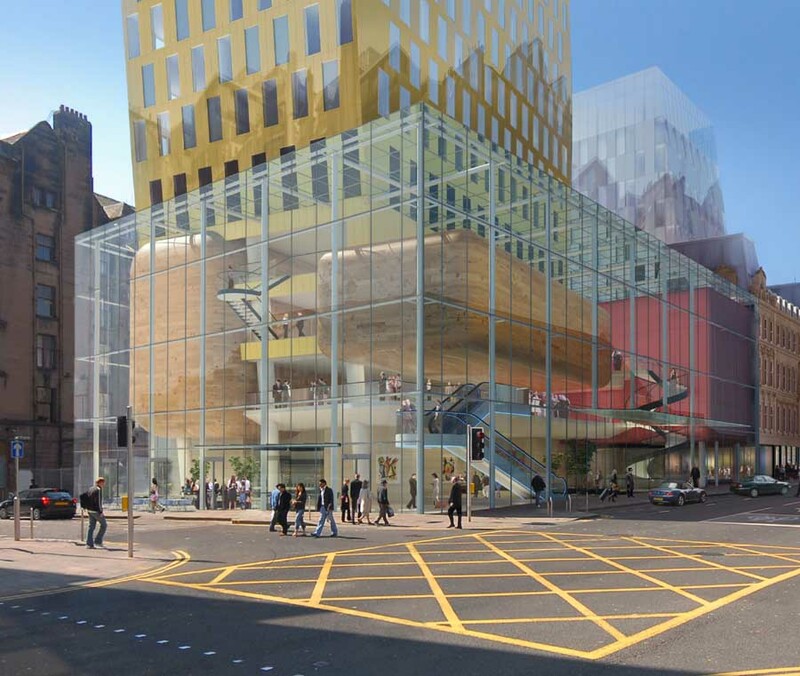 Plans were submitted three years ago to Glasgow City Council planners and was due to complete at the end of this year. 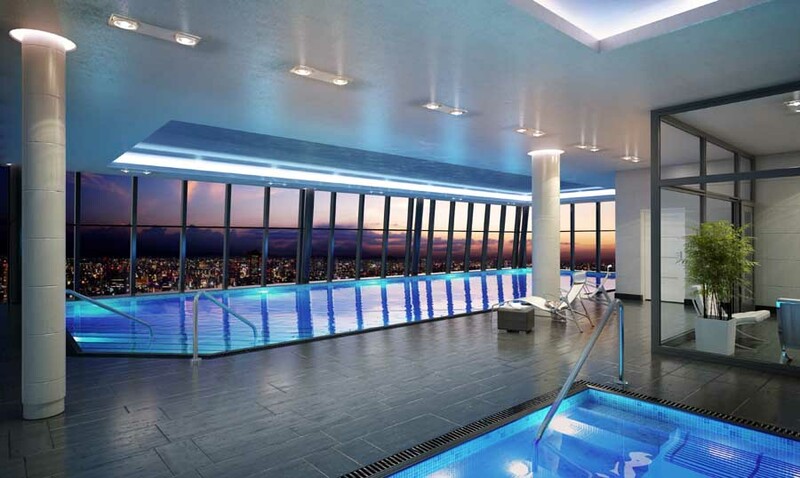 The 32,000 sqm scheme was being developed by BLN Property Developments. The company made a loss of £22.2 million in 2008/9 before KPMG was appointed its liquidators. The hotel operator Jumeirah Group from UAE remains interested in the venture. In October 2010 Ian Simpson Architects’ 52-storey One Blackriars Road skyscraper on London’s South Bank was put into administration. The development for Beetham Holdings and Russian property company Mirax focused on a 261-bedroom Jumeirah hotel. Glasgow, 14 October 2008: Jumeirah, the Dubai-based luxury hotel group and operator of the world famous Burj Al Arab, unveils plans to operate a new five-star super deluxe hotel in Glasgow, Scotland. This was announced by Charles Price, CEO of Progress Property Developments (PPD) and Guy Crawford, CEO of Jumeirah Group, at a signing ceremony held today in Glasgow. 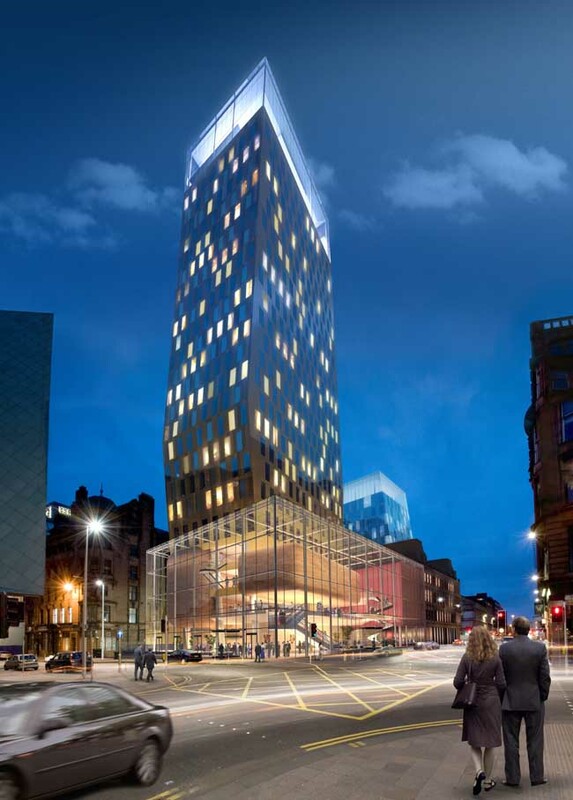 Jumeirah Glasgow Hotel, Jumeirah’s fifth hotel to be signed in Europe, is scheduled to open in 2011. 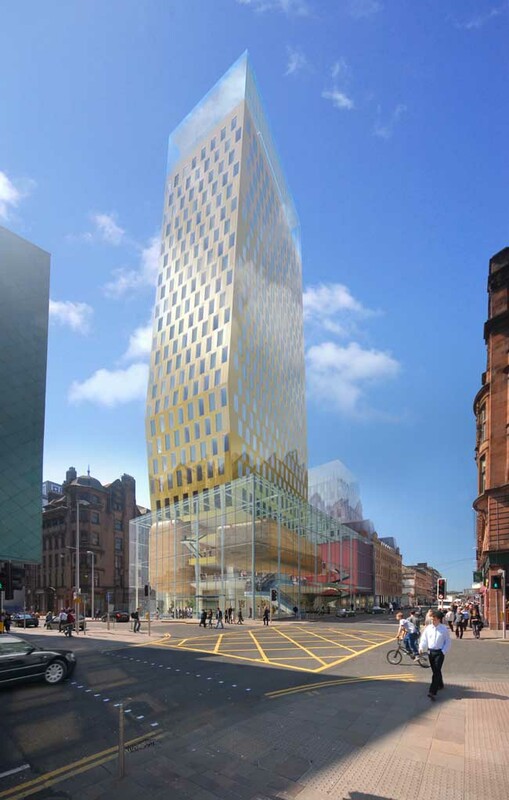 Conveniently situated in Glasgow’s International Financial Services District, with close proximity to the high-end shopping district, the 25-storey development, designed by Ian Simpson Architects, will be one of the United Kingdom’s most luxurious hotels, providing the award-winning levels of service and facilities associated with the Jumeirah brand worldwide. Guests will enjoy a range of leisure facilities, which include an impressive infinity pool, Jumeirah’s signature Talise Wellness spa, gym, rooftop cocktail lounge and several restaurants and bars. Extensive business and conference amenities will be supplemented by a 630-seat ballroom and a dedicated club lounge. 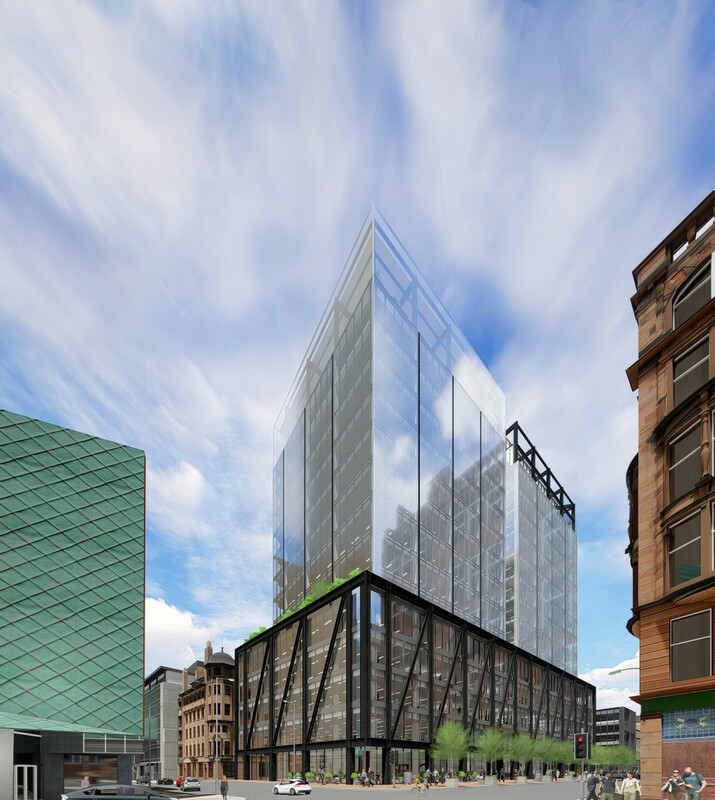 The Jumeirah Glasgow Hotel will comprise 160 luxurious guest rooms and suites and 85 Jumeirah Living serviced apartments to cater for guests planning an extended visit. Jumeirah Hotels & Resorts, a member of Dubai Holding are regarded as among the most luxurious and innovative in the world and have won numerous international travel and tourism awards. The Dubai-based luxury international hotel management group encompasses the world renowned Burj Al Arab, the world’s most luxurious hotel, the multi-award winning Jumeirah Beach Hotel, Jumeirah Emirates Towers, Madinat Jumeirah and Jumeirah Bab Al Shams Desert Resort & Spa in Dubai, the Jumeirah Carlton Tower and Jumeirah Lowndes Hotel in London and the Jumeirah Essex House in New York. The Group’s activities are, however, not restricted to hotel and resort management. The Jumeirah Group portfolio also includes Jumeirah Living, the Group’s luxury brand of serviced residences offering effortless living in luxurious surroundings; global spa brand Talise Wellness; The Taste Department, the company’s dedicated restaurant division; Wild Wadi water park; The Emirates Academy of Hospitality Management, the region’s only fully accredited third-level academic institution delivering specialised degree programmes in hospitality management; and Jumeirah Retail, with its 15†stores and dedicated luxury online store www.jumeirahcollection.com. Building on this success, Jumeirah Group became a member of Dubai Holding in 2004, a collection of leading Dubai based businesses and projects, initiating a new phase of growth and development for the group. Jumeirah has extensive expansion plans to grow its portfolio of luxury hotels and resorts into key gateway or letterhead cities and aspirational resort destinations worldwide. Currently, the Group has several luxury five-star properties under development in the United Arab Emirates, Jordan, Qatar, Thailand, China, Argentina, Spain, United Kingdom and the US Virgin Islands. 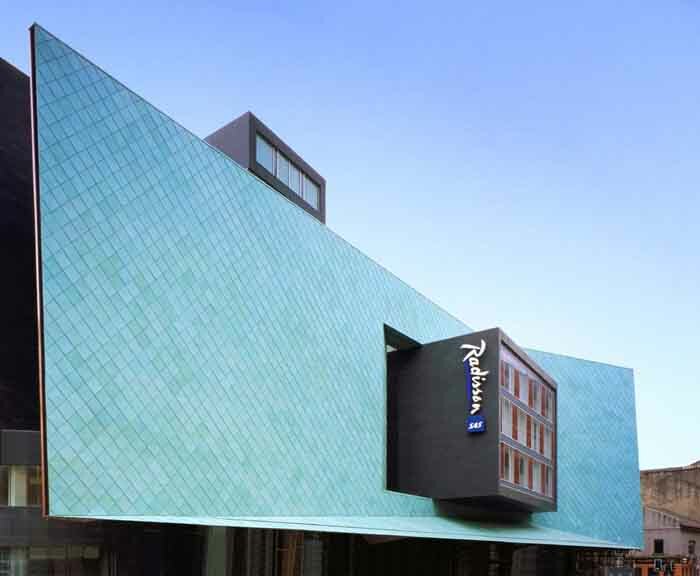 In early 2009, the Group is eagerly anticipating the grand opening of Jumeirah HanTang Xintiandi in Shanghai, Jumeirah’s first hotel in the Asia Pacific region. PPD (Progress Property Developments Ltd) is a privately owned property development company with operational offices in Blythswood Square, Glasgow and George Street, London.†† PPD owns a large portfolio of retail, commercial, and leisure development properties the majority of which are located in Scotland and has a current development programme in excess of 1,000,000 sq ft (92,900sq m). PPD specialises in development of properties in regeneration areas and one of its priorities is to ensure that such developments are sustainable and of sufficient quality to stand the test of time.† PPD’s experience in tackling complex land assemblage for developments combined with a fine attention to detail including the quality of the finished building helps ensure sustainability. Most recently PPD’s Dalmarnock Village Partnership was selected by Glasgow City Council as one of the four approved bidders for the construction of Glasgow’s 2014 Commonwealth Games Village.